Department of Biotechnology, Maharishi Markandeshwar University, Mullana (Ambala) Haryana,India-133207. Modern environmental technologies are indeed designed to enhance cost efficiencies and productivity. The current proposal aims to provide a comprehensive view of modern environmental approaches for wastewater treatment, heavy metal removal, pesticide degradation, dye removal, polycyclic aromatic hydrocarbons, solid waste management, biosensor technology and the role of nanobiotechnology in the effective removal of pollutants from the environment. Biomass conservation technologies, biopesticides and microbial transformation of environmental contaminants are some other interesting titles covered in this proposed book. 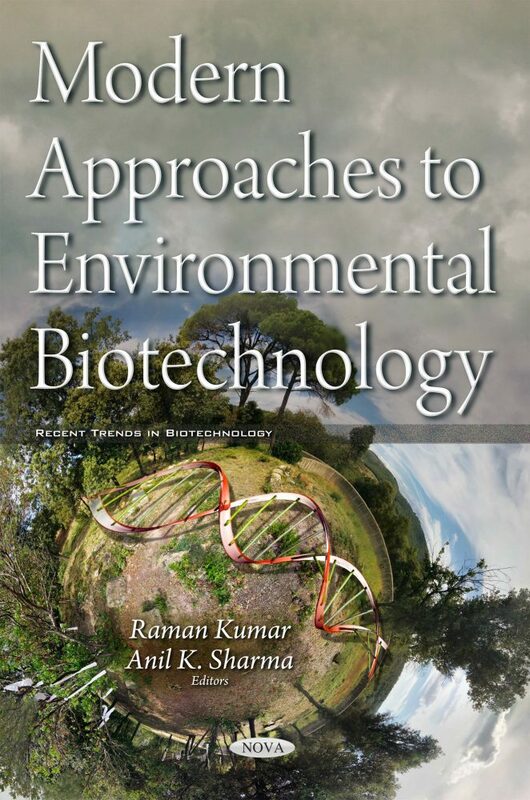 We anticipate that this book will be able to provide a comprehensive, accessible, up-to-date information about recent advancements in environmental biotechniques and the roles of the microbial community in bioremediation, providing instant access to environmentalists, biotechnologists, environmental engineers, and students from diverse streams of biotechnology and environmental engineering. The book will be immensely helpful for the researchers and faculties (academics and research) working on frontier areas on environmental biotechnology. Students at UG and PG level will get up to date information about the modern state of art technologies in the field of environmental science. Bioremediation of heavy metals pesticides, dyes and polycyclic aromatic hydrocarbons, biosensors in environmental biotechnology etc would be some of the key areas highlighted through this proposal. Sustainable solutions to the global climate changes and other environmental hazards are likely to be addressed through the outcome of this book proposal.